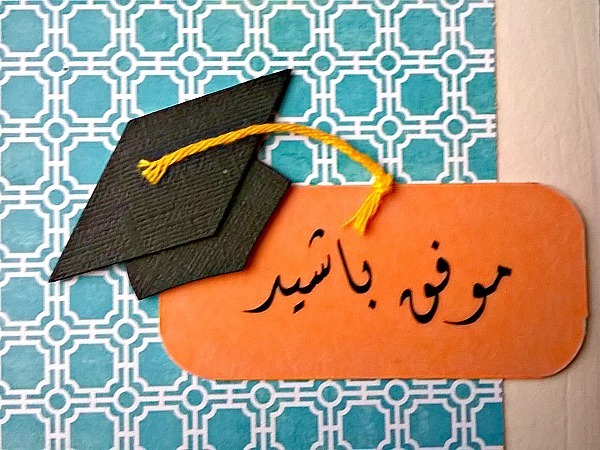 Do you have a Persian smarty pants in your life? Are they getting ready to leave the small comfortable womb of academia and entering the big bad world of water coolers? 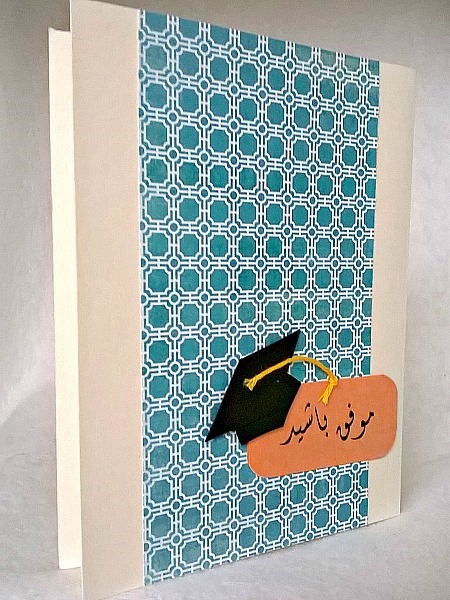 This handmade greeting card has an elegant chalked turquoise geometric design cardstock to send mo'afagh bashed to your loved one in style. 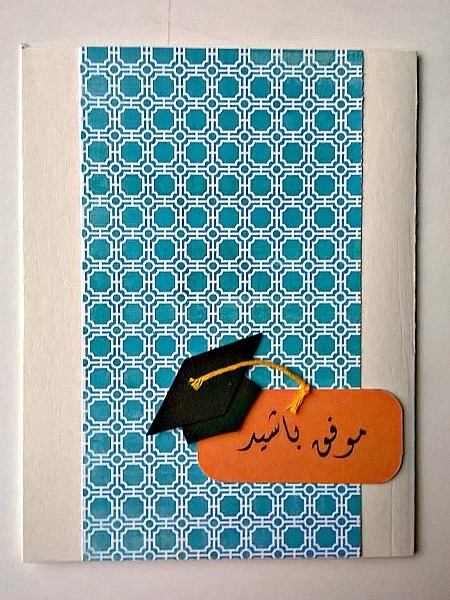 The words, which mean 'good luck' in Farsi, have been printed on vellum and added to orange cardstock to compliment the blue. 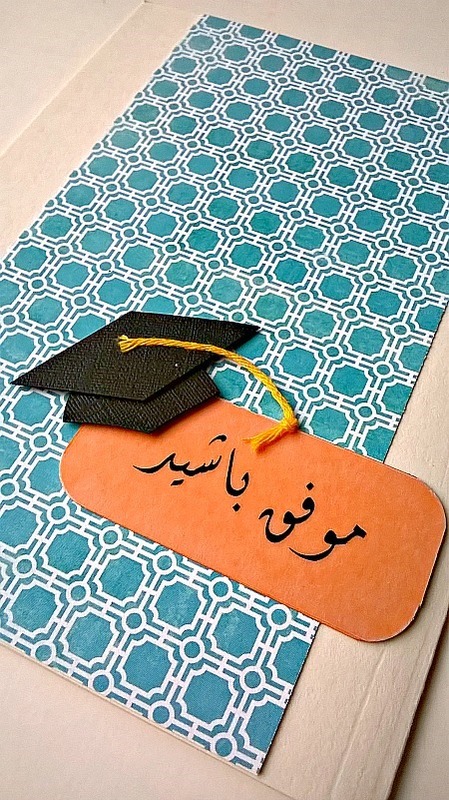 A textured 3D graduation cap, complete with an embroidery thread tassel, has been added to the sentiment.